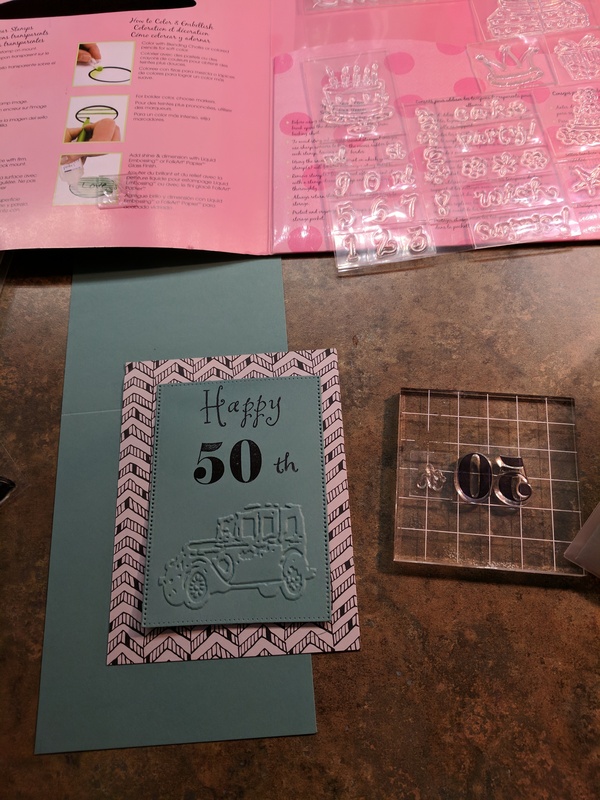 This card was made for a friend of my husband. It was fun to make and I’m really happy with how it turned out. 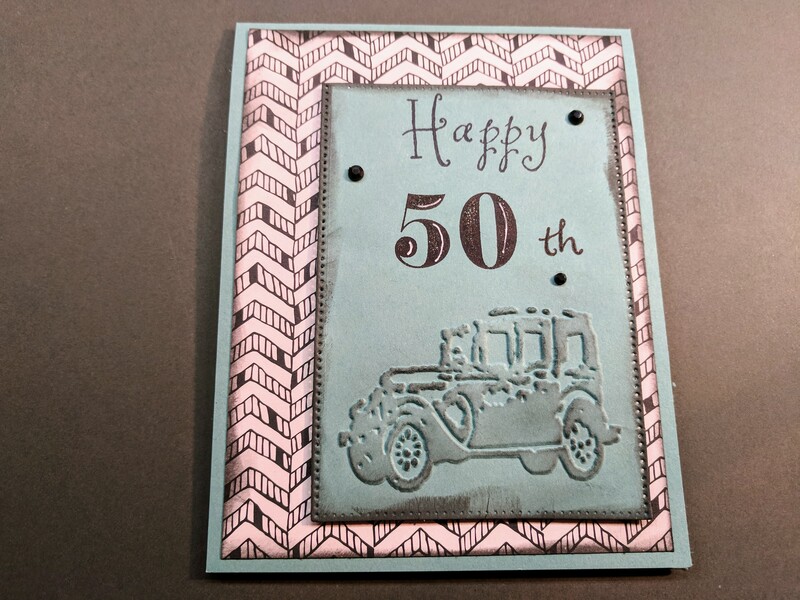 So I began with a top folding card 4.25×5.5 in Lost Lagoon card stock by Stamping up. 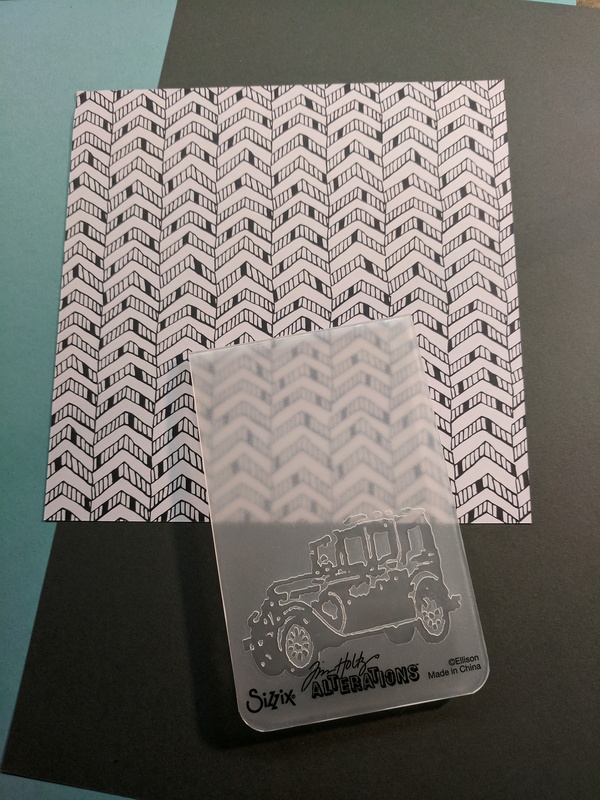 I found an embossing folder of an classic car and some black and white print paper. I was originally going to add some deep grey but ended up leaving it out. 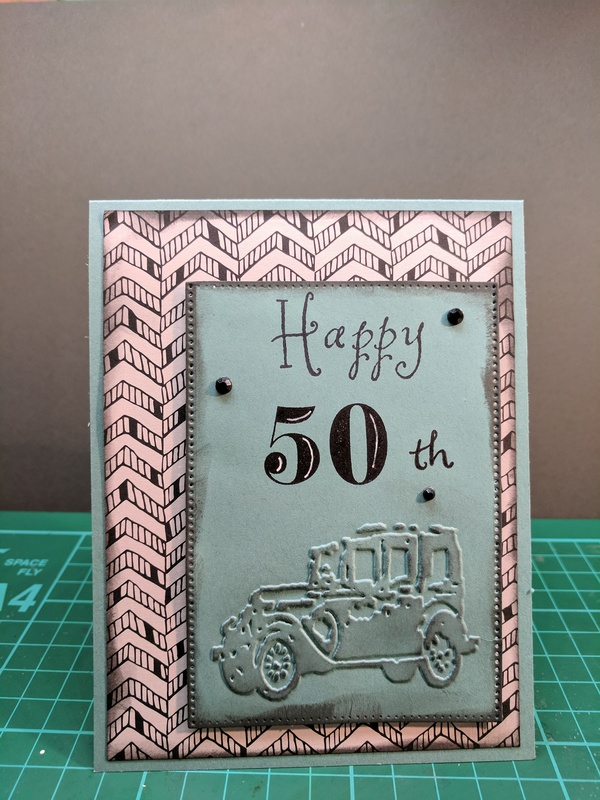 So I used a stiched rectangle die cut and then cut and embossed the image on to Lost Lagoon paper. 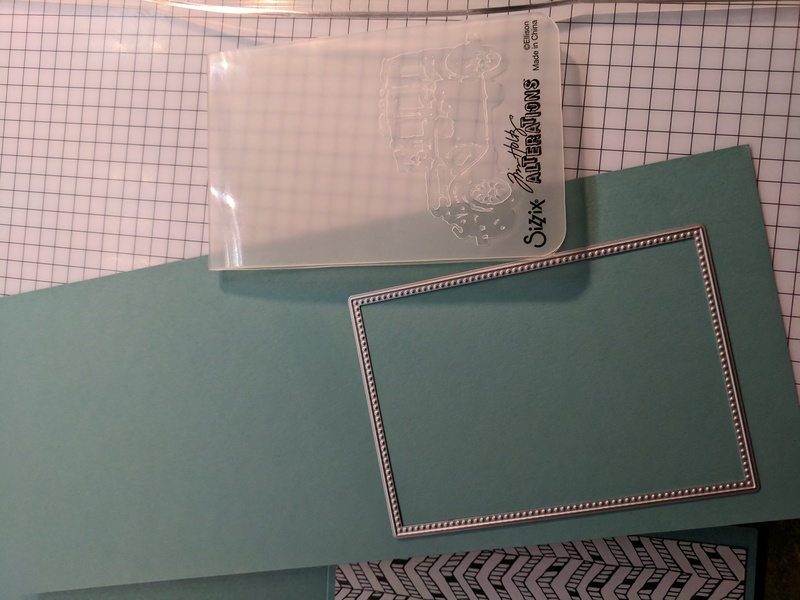 I cut the black and white paper with a larger coordinating stiched rectangle. 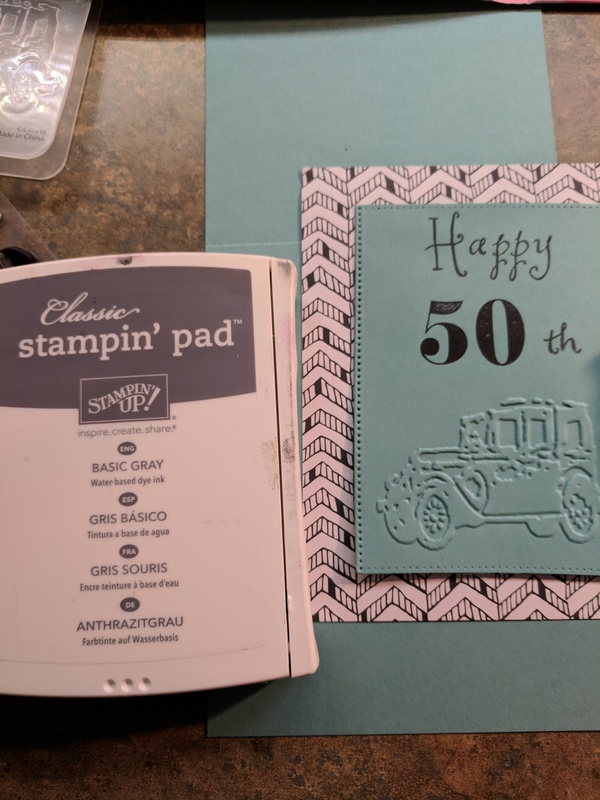 I stamped the Happy 50th in black ink using a CTMH stamp set called Advent and an old unknown set together. I then sponged the edges and embossed image with classic grey ink and put it together. I added a little glitz with some black rinestones and some white gelly roll pen. The outside was complete, on to the inside. 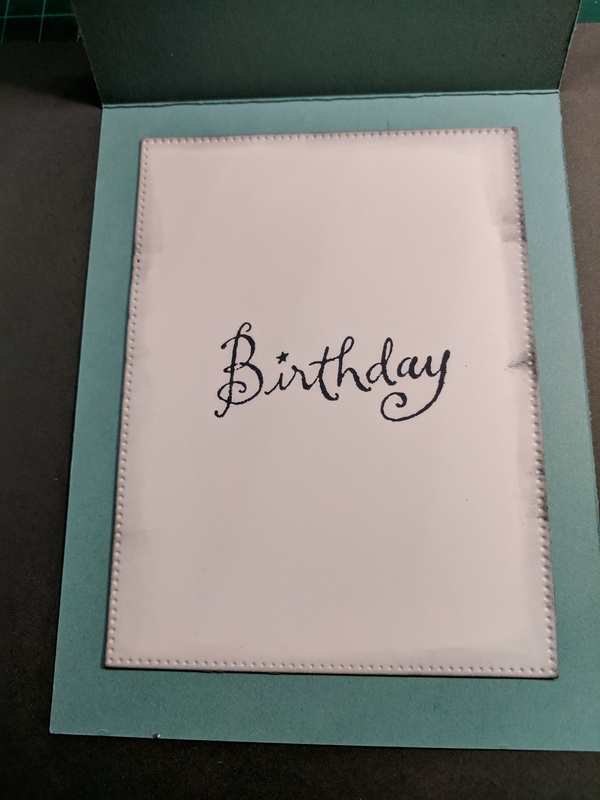 I just used a coodinating stiched rectangle and stamped the word birthday. Added a little more classic grey and that completes the card. < Previous Our Nephew will be ten! Next > Little sister turns 34!